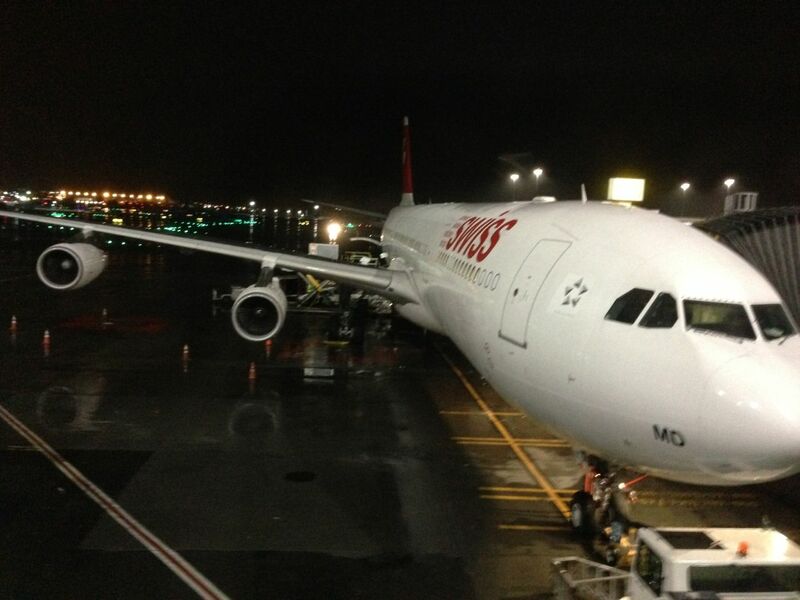 Just returned from a nice visit to San Francisco … great weather and lots of interesting meetings. 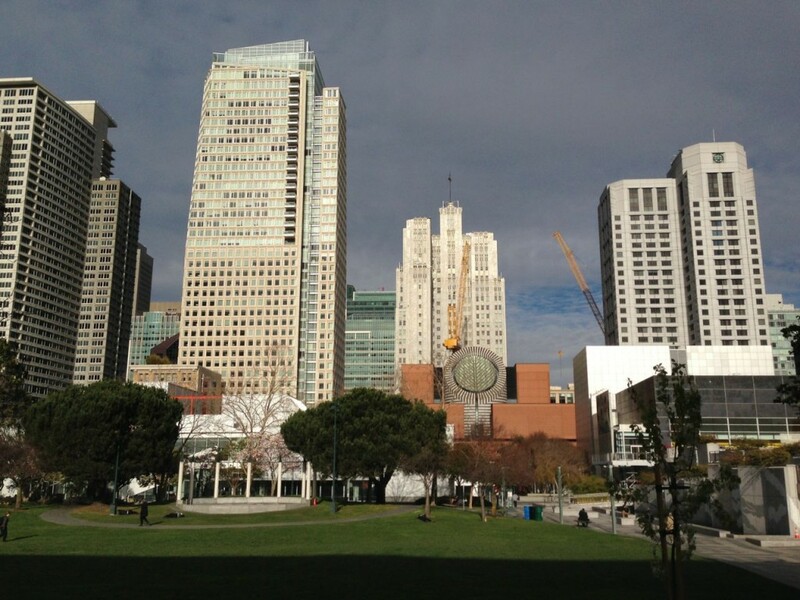 The photo above is of Yerba Buena Gardens looking towards the SF MOMA which is currently being expanded/remodelled. Bay Area Bike Share station at 3rd and Howard streets in San Francisco. Around the corner from the photo above I ran across my first set of Bay Area Bike Share bikes. Great to see that San Francisco and the Bay Area are becoming more bike friendly. 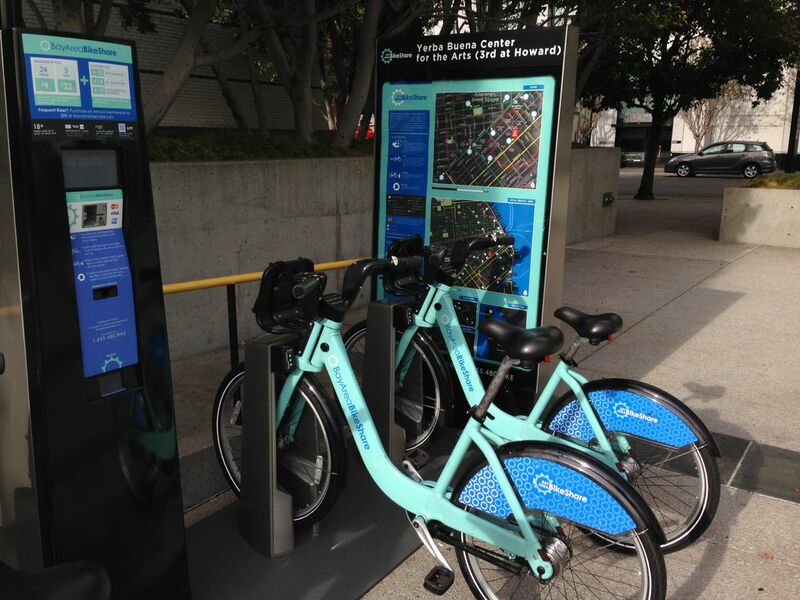 Here’s a photo of the bike station at 3rd and Howard streets. I seem to be running into bike sharing everywhere I go these days: Washington DC, New York, Brussels, San Francisco and, naturally Vienna, one of the first cities to have public bike sharing. There are photos of all these bike share systems in my flickr set Bike Photos. 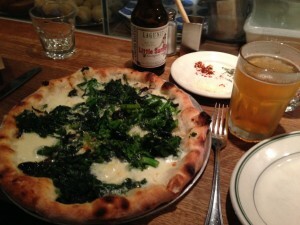 Broccoli Rabe pizza at Delfina in San Francisco. No trip to San Francisco would be complete without visiting (or re-visiting) some of my favorite restaurants. In my short trip I could fit in Delfina Pizza in the Mission … had a really delicious Broccoli Rabe pizza with a Lagunitas Little Sumtin’. The breadsticks at Delfina are addictive. Great meal for just under $30 including tip (with a couple slices to bring home). By the way the Pacific Heights Delfina looks to be bike friendly from the photo on the website. Cool. Sign in front of Henry’s Hunan restaurant, Sansome Street, San Francisco. I also returned to one of my all time favorite Chinese restaurants: Henry’s Hunan. 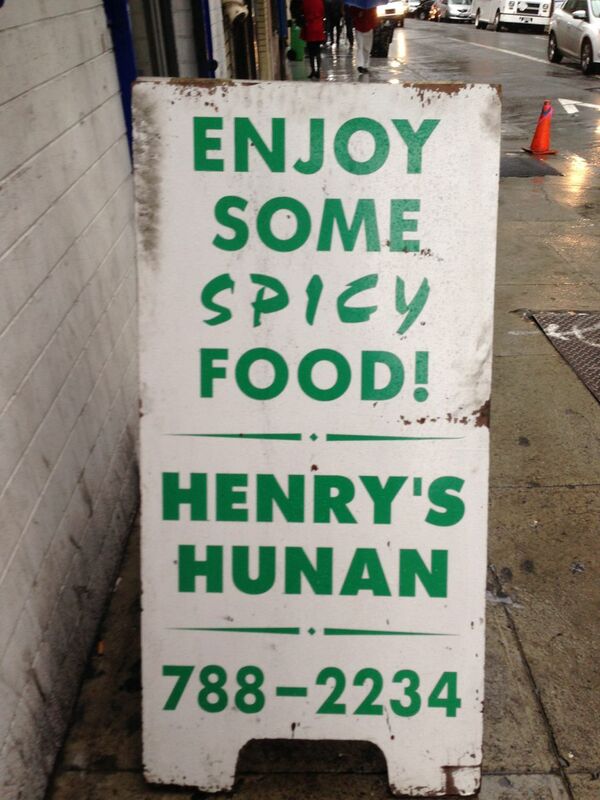 I first started going to Henry’s Hunan in 1984. The Sansome Street location was on my way home from work and I would stop by, sit at the counter and watch as the women cooked my dinner in the huge woks three feet in front of me. It was a great experience and I learned a lot about cooking with a wok. Unfortunately that location was damaged in the 1989 earthquake, but there are several other Henry’s Hunan in San Francisco. Anyway, I went into the Henry’s Hunan on Sacramento (just east of Sansome) and sat at the counter. It really reminded me of the Sansome Street location, women cooking in woks three feet away and all. I had one of my favorites: hot and sour chicken. When I left I noticed a sign by the cashier saying that the restaurant was designed to look like the original (so I wasn’t crazy). I mentioned to the cashier that I had eaten at the original and he said, you must have known my father and grandfather then … right, he’s third generation! The food remains great and my hot and sour chicken rice plate was $7.50 for a large portion. I’m already looking forward to my next visit. 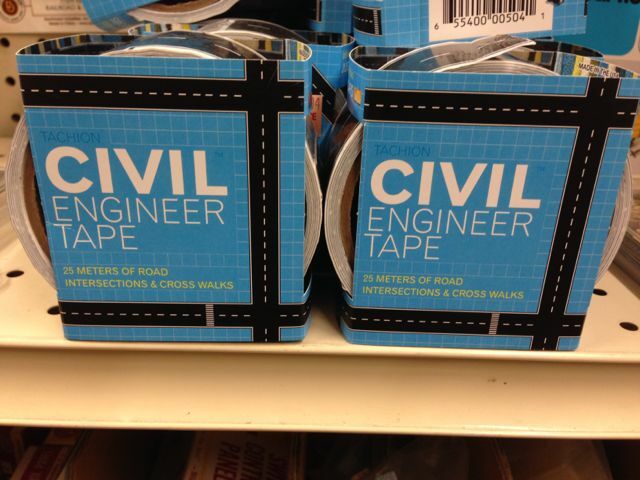 Visiting friends in Berkeley we stopped by at the hardware store and I found several items which I really need. These photos require no further explanation. 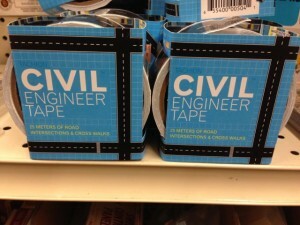 Civil Engineer tape available at Berkeley Ace Hardware. 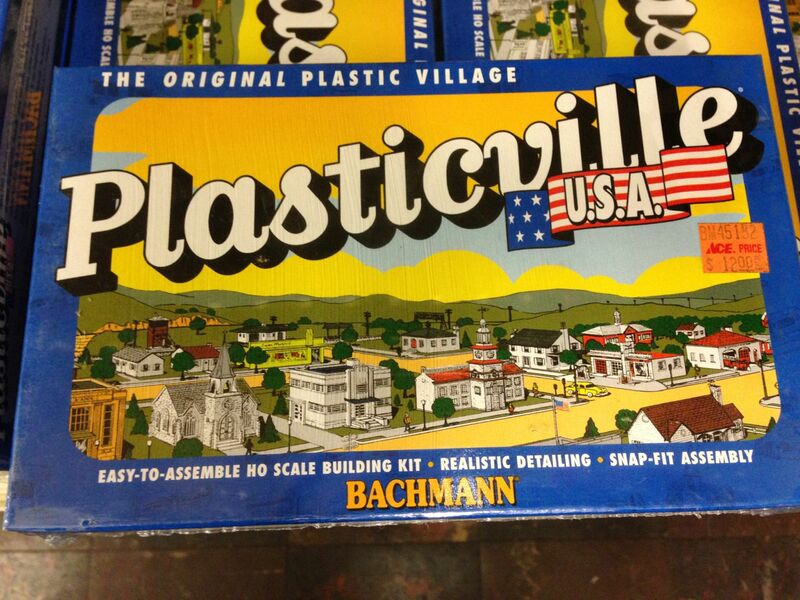 Plasticville USA model available at Ace Hardware Berkeley.